White Wolf : Oceti Sakowin Camp says, "We are determined to protect the land". 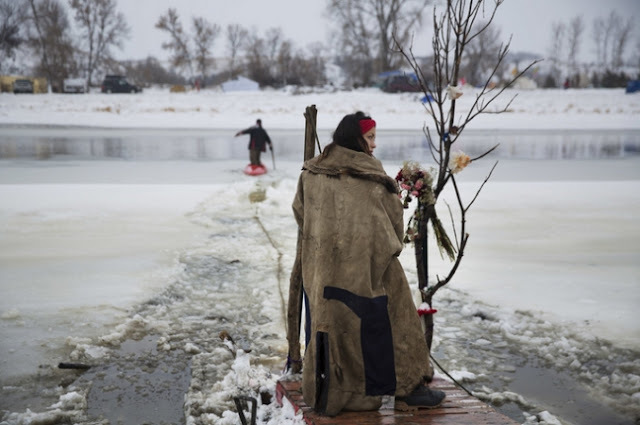 Oceti Sakowin Camp says, "We are determined to protect the land". Press Release: December 7, 2016 For Immediate Release - For those who can stay—and are prepared for arctic conditions—please do, we need people here. Standing Rock Reservation, Oceti Sakowin Camp. North Dakota—Our first concern is safety. We ask all who can and want to leave, to return home. We are especially concerned for elders, families with children, those with health concerns, and/or pets that aren't acclimated. For those who can stay—and are prepared for arctic conditions—please do, we need people here. The Lakota/Nakota/Dakota people of The Great Sioux Nation have survived in these conditions for thousands of years. If Ally Protectors cooperate with the ancient wisdom and ways of these lands, we will fare well. This movement is unlike any other—it is prayerful as well as peaceful—the consciousness we have raised here continues to resonate across the world. Secondly we ask this of you in order to conserve resources. Bringing in wood, and other essential life supporting goods, is now much more complicated. For those who want to come, be prepared for arctic conditions, we can't stress this enough. Be ready to contribute to the survival and safety of the camp in a significant way daily, be abundant in spirit and ready to share. Bring wood, plan to work. We need cooks, medics, builders/repair-persons, people dedicated to the survival of the community, for the coming storms. Bring weather-ready vehicles, 4x4 trucks and trailers, snow-ready vehicles. Oceti Sakowin Camp remains determined—to protect our land. We have been given the obligation to do so in the treaty of 1851—we were specifically asked to protect this river. This is the way of the Standing Rock people, the Lakota people, the Hunkpapa people. All of the seven tribes of The Great Sioux Nation have gathered here again in an historic way—once as former enemies, we now stand together as brothers and sisters. We are not protestors. We are not terrorists. We are not rioters. We are in fact, Protectors. 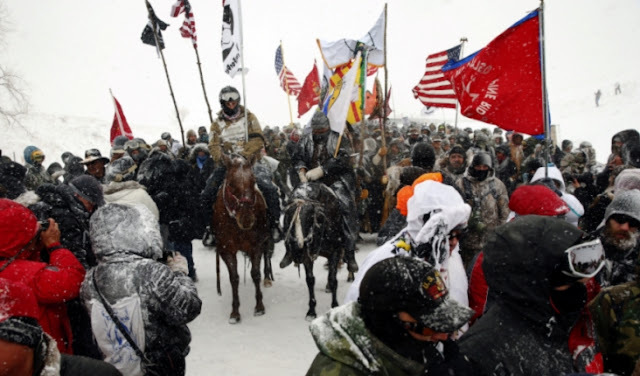 Responses to "Oceti Sakowin Camp says, "We are determined to protect the land"." 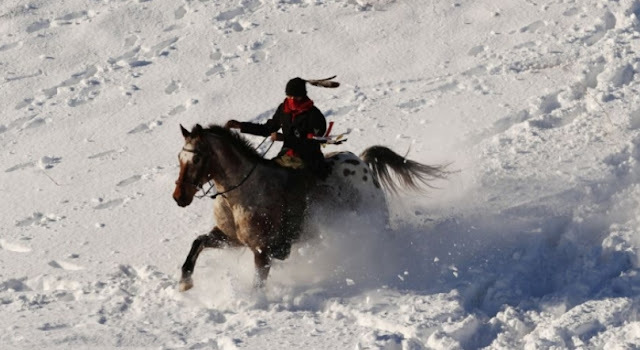 Chase Iron Eyes, is the middle picture in this post of you on your horse?